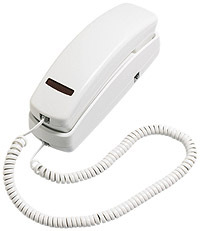 With more than 50 telephone models designed for lobby, guestroom, back office, emergency, and other hotel applications, Scitec is a fixture in leading hotel chains worldwide. That's because quality Scitec telephones with patented, user-friendly technologies are as attractively priced as they are well-designed. 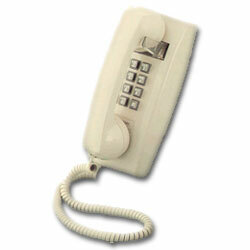 For more information on Scitec hotel phones we offer, click on the links below. A single-line slim phone for desk and wall mount applications. This phone sports a big button keypad. 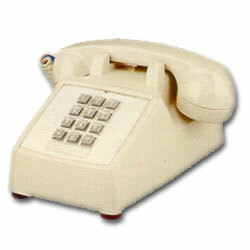 A single-line slimline phone with message waiting or visual ring indication. This phone also features a big button keypad. Industry standard 2500 desk set with optional message waiting light and data port. This phone features a sturdy double gong ringer. 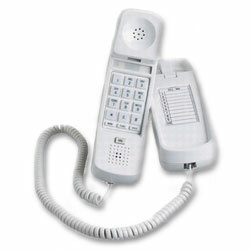 Industry standard 2500 phone designed for a variety of wall-mount application. This set also features the sturdy double gong ringer.